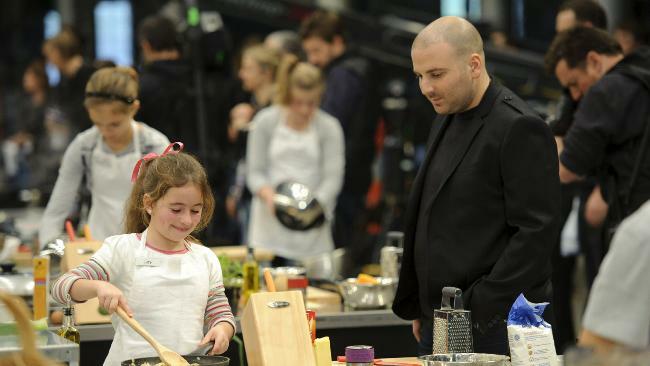 Imagine if Junior Master Chef's next episode did change everything. All the contestants came back and were told from now on it's a spelling bee. No more cooking, we're going to have you spell the ingredients in your recipes. There's a delivered promise. Not only that, imagine the outcry from the viewing audience. Change is rarely easy and viewers nearly always have something to say about real change. If your audience isn't at least discussing the change then you probably haven't changed anything. Much like this blog post really. I don't expect much discussion but then I didn't really set out to change much of anything. I doubt advertisers and promo creators will really take much notice of me and start thinking of better hooks than 'this is the episode that could change everything'. I got that from the synopsis for 'City Homicide for last week's episode, both in print in the TV mag, and on the TV promos! It said there was a bomb in a building that they were looking for, and really built it up! I thought it was one of those things where they would be looking for the bomb before it went off, having been notified of the time etc! Turned out to be a bit of a fizzer, as all that happened was that they caught the bloke that had planted the bomb, but I didn't even see them find it - and I swear I didn't fall asleep this time! I kept waiting for the suspense and drama with everyone sweating to find the bomb, and it being got rid of our deactivated at the last minute, but it didn't happen. That was the end of the episode where the bloke was quickly caught after them all pointing their guns! I thought...was that it....as the episode finished - without any drama at all! Disappointing! Hope tonight's storyline is a bit better, though they are usually good.